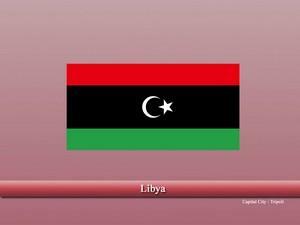 Libya, authentically the “State of Libya” is a large African country, located in the Maghreb region, North Africa. The country has unique cultural heritage and is known for ancient Greek and Roman ruins, historical villages, and a variety of other unique features. The country is one of the oldest places to be inhabited by humans. “Berbers” was one of the earliest known people of the region. Also, the region was occupied by some of the known kingdoms in history including Greeks, Romans, Persians, Ottomans and other Muslim Caliphates. The remains of ancient Greek and Roman cites can still be seen today and are a vital point of interest for tourists. After the Ottoman power declined at the end of first World War, Libya was occupied by the Italian forces. Local Muslims gave active resistance to them throughout. As World War 2 started in 1949, Libya saw some decisive battles between Germany and the Allied forces. After the German forces retreated, Libya remained under British occupation till Libya declared independence in 1951. 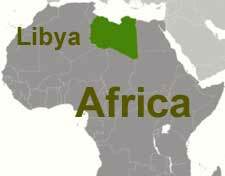 In terms of covered area, Libya is huge and is ranked as 16th largest country in the world. Bordering countries of Libya are Sudan towards the Southeast, Tunisia, and Algeria towards the West, Chad towards the South, and Egypt towards the East. Approx. 90% of Libya’s area is covered by Deserts. This makes life in the country tough. Petroleum is the most dependent sector of the Libyan economy and account for most of its exports. But due to the lack of stability, corruptions and civil wars, the economy failed to grow or make the situation of the country better. Although Libya is very large, the population of the country is very less and the majority of it lives in the large three cities of the country. Arabic is the official, national and most widely spoken language of the country. Islam is the largest religion of the country and arrived during the Muslim conquest of North Africa. Vastu for cash box in shop?